I need to buy a new phone for our new house, and i couldn't find anything interesting anywhere in Romania. That's why i turned to ebay, because i want my home phone to make a statement, and also to match the style of our new home (lots of "new" in my sentences so far in this post). As far as tech requirements go, i want it to be cordless. 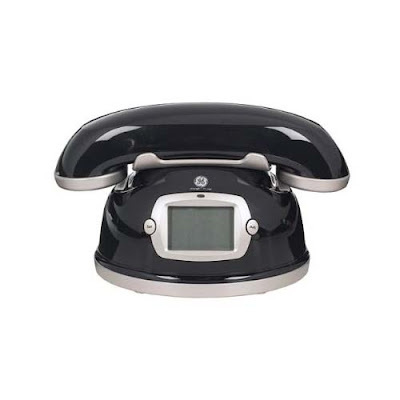 The first phone that caught my eye was the GE Designer Series Americana Cordless Black Desk Telephone Phone. It is available and black, as well as white, and has this cool retro aesthetics and i like. 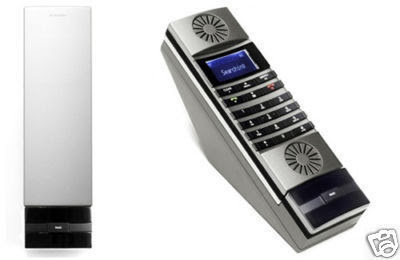 The second one is the JACOB JENSEN™ Telephone 80. Jacob Jensen, former designer at B&O, creates objects with clean lines that i also like. Which one do you like? Oh! And also, very important, do you think a home phone bought in the States will work in Romania (Europe)?